SOVARCATE Infrared Thermometer quickly measures the surface temperature of objects without needing to contact dangerous cold or hot objects. It\'s easily use, fast measuring speed, high precision, and easy to read, effectively used in kitchen, household daily, industrial, maintenance and other fields. 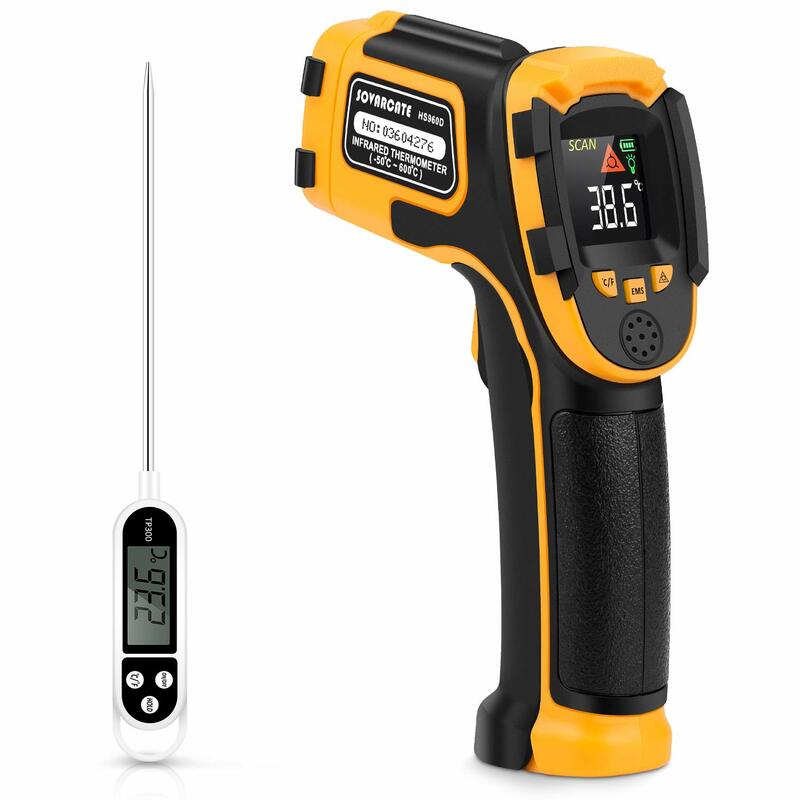 The infrared thermometer can be used to instantly receive temperature degrees by simply pressing the trigger, allowing you to easily measure the surface temperature of a dangerous, difficult-to-reach or even moving object. For measure the temperature more accurately, the temperature gun can adjust the reflection coefficient; Make it easier to read, the temperature gun uses a high-definition backlight LED color screen; then what are you still hesitating? Our service team provides a 2-year warranty on each product. Do not point laser directly at eye or in-directly off reflective surface.